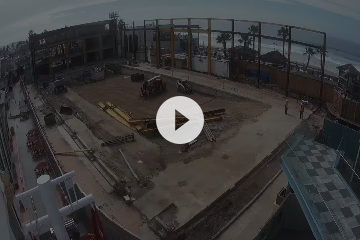 The iconic Plunge community pool in Belmont Park, San Diego is making a splash with its big comeback, and ECAMSECURE is here to give you a sneak peek. The legendary community center was first established in 1925, but was closed down a few years ago due to aging and maintenance concerns. Now the Plunge is getting a multi-million dollar makeover, and the center is to include a mezzanine, pool, gymnasium, and more–all integrated into the original site at Belmont Park. No expense is being spared to bring The Plunge back to the people of San Diego, better than ever. With such extensive and costly repairs and renovations underway, you can imagine that the work site for the new Plunge is a busy and complex place. With any intense work site, you need “eyes in the sky” looking out for your interests, and The Plunge is no exception. 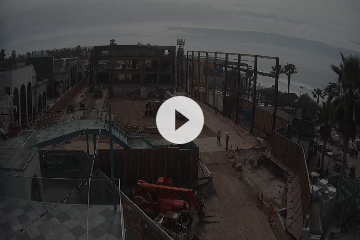 That’s why ECAMSECURE is excited to offer a bird’s eye view of the worksite, as well as a sneak-peak of the progress being made. As you can see, ECAMSECURE’s project management technology is on display in this demonstration. Viewers can quality digital images and high level of control possible with ECAMSECURE project management software. 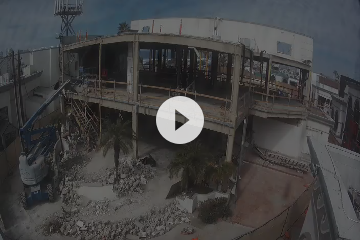 Through our time-lapse portal, you can view images of the worksite for The Plunge, which include detailed images the can be sorted by date and time as well as check weather conditions. You can also try out some of the capabilities including one click time lapse video, image overlay, split image view, and more. This isn’t the old days of video surveillance technology, and we think you’ll agree as you explore The Plunge worksite through the sharp eyes of our advanced ECAMSECURE project management technology.